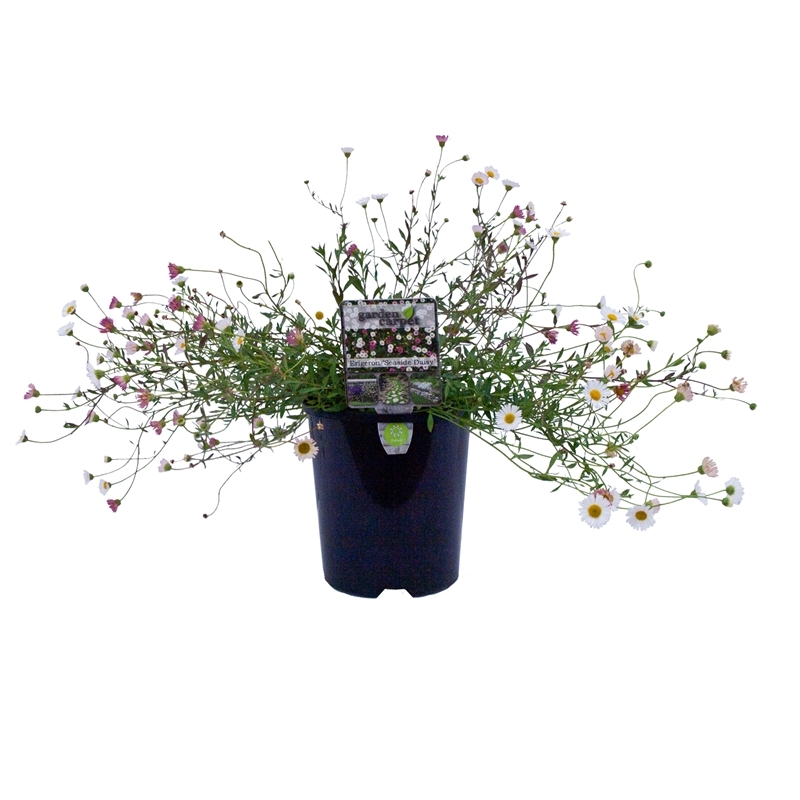 Seaside Daisy forms a low mound of grey-green leaves, bearing small white daisies that age to pink making a colourful ground cover. Flowers are profuse on the plant for most of the year. Grows to 50cm high x 1m wide. Perfect for rockeries, cottage gardens or hanging baskets. Prefers full sun but will tolerate a small amount of shade. Plant in free draining soil rich in organic matter. Mulch and water well until plant is established, prune after flowering to promote compact growth and flowering.